The Nissan Sentra performance isn’t just easy on your fuel tank, but it’s got plenty of pep to make driving around Puyallup more fun. You’ve got your pick between an ultra-efficient engine or a turbocharged powerhouse to get up to speed with extra life, and other features enhance your drive to turn commutes into adventures on the road. Stick with the standard engine for affordable monthly payments, or upgrade for a little extra for a lot of extra power when you hit the gas pedal. Standard Engine: A 1.8L 4-cylinder engine develops up to 130 hp while returning 37 mpg highway** and 29 mpg city**. It’s paired with a 6-speed manual transmission, but you can opt for an automatic, too. Turbo Engine: Just because it has more power doesn’t mean it’s less efficient. Quite the contrary, the available 1.6L turbocharged 4-cylinder engine puts out 188 hp while giving you up to 32 mpg highway** and 26 mpg city**. It’s combined with the Xtronic CVT. 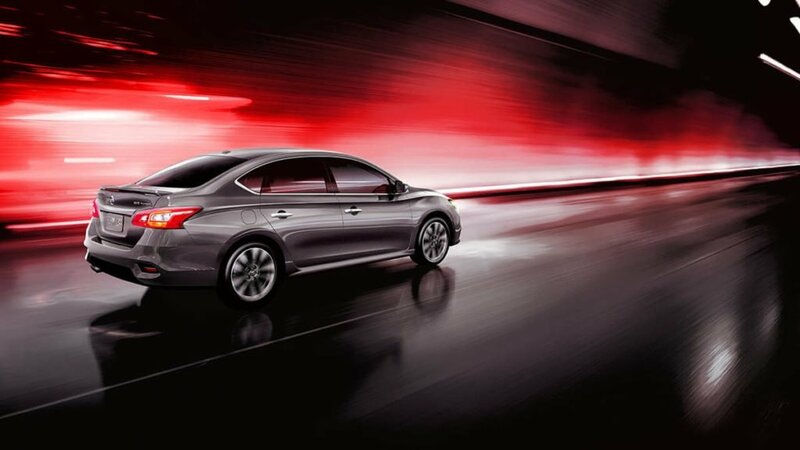 So you’ve got your engine, but what else makes the new Nissan Sentra performance a reliable choice for your daily life? SR Turbo Brakes: The brake pads on the SR Turbo have better heat resistance for maximum stopping power to match the upgraded horsepower of the turbocharged engine. Aerodynamic Body: The sculpted shape of this sedan looks sporty, but it serves a purpose, too. Minimizing air resistance allows you better fuel economy. Push Button Start: It’s easy to hit the road when you can ignite the engine with the press of a button. It’s almost magic. You can schedule a test drive of the Nissan Sentra by calling our sales team at (253) 848-4507. We’re standing by to take your questions and help you get the financing you need for your next sedan. Our showroom is located at 101 Valley Ave NW in Puyallup, and you can choose from a number of trims with wonderful features. Let us know if you have any comments by contacting us online! **Fuel economy based on targeted 2017 EPA fuel economy estimates for 2017 Sentra®.